Welcome to our Summer 2014 Edition, Issue 28. Full of Features, not Adverts! Do you like to craft? We do! 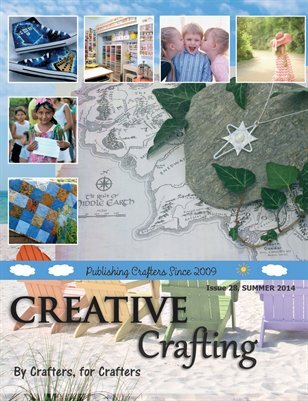 We publish small crafters and writers from all over the world. Check out our back issues on our website. We have some fantastic reads for you this month. This completes a full five years of publishing! We hope that you enjoy this issue and would like to thank you for your continuing support.